Okay, it’s not flying cars, but one of the greater looming catastrophes of modern life remains the threat of leaving your passport at home ahead of an international trip. (Or worse, in a hotel when trying to get back home.) So it’s kind of cool to read about this enterprising Canadian, who presented a scanned copy of his Canadian passport at the US border. And got in! “I see the future as 100 percent being able to cross with your identity on a digital device — it’s just a matter of time,” he said. US Customs and Border Patrol did not comment on the overall policy on accepting scanned passports to cross borders. 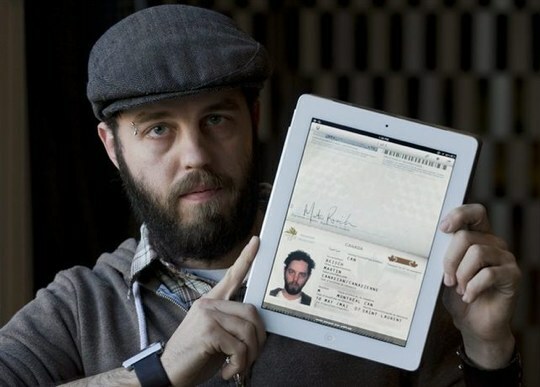 Reisch reports that he also used the scanned passport and his iPad to successfully cross back into Canada the same day.